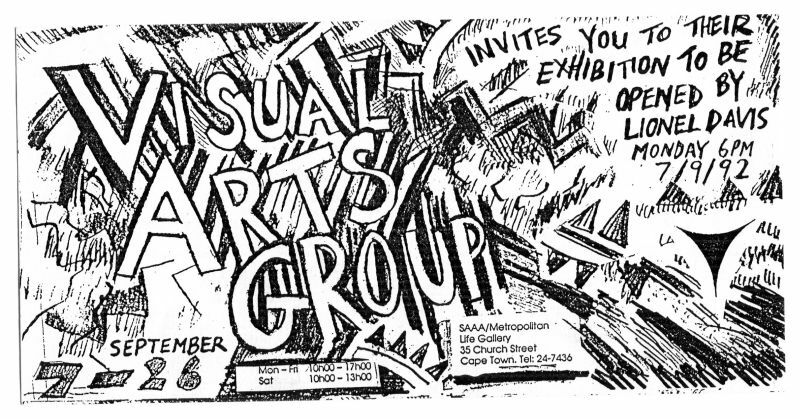 The VAG was a voluntary association of visual arts practitioners based in the western Cape, South Africa, that was active from 1988 to 1998. 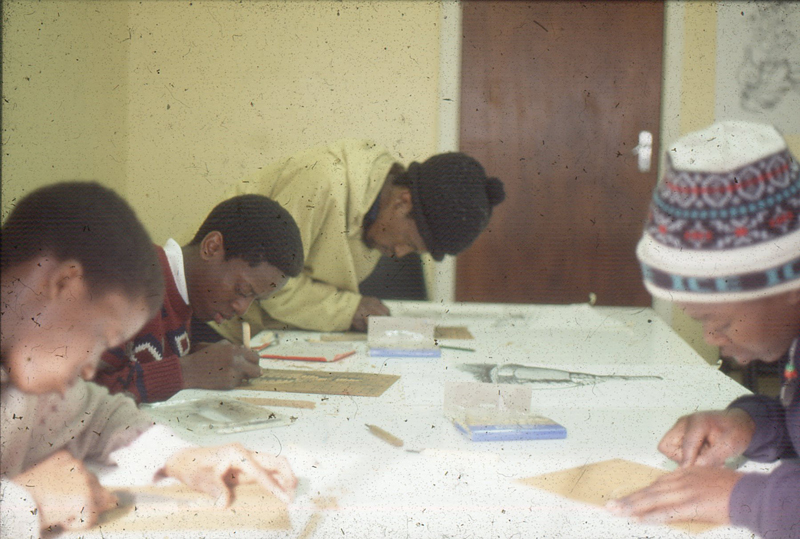 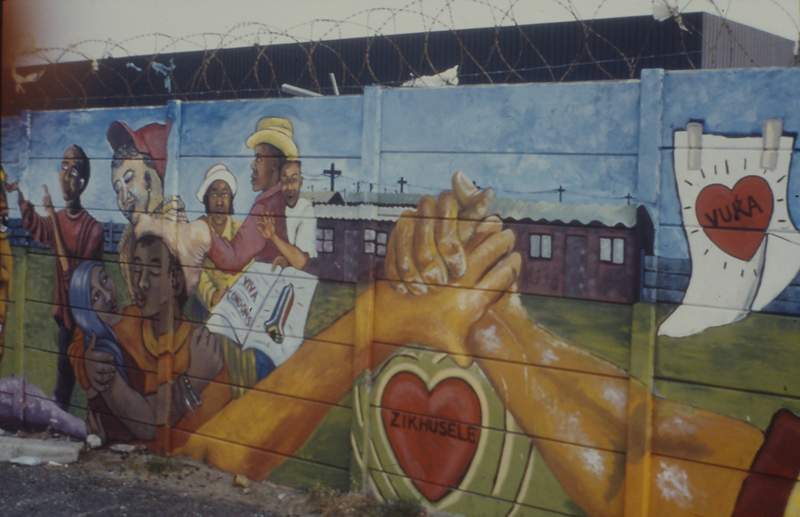 Initially formed as part of the process of organising cultural workers in the anti-apartheid struggle the VAG’s achievements included acting as a pressure group, organising exhibitions and workshops, and painting banners and murals. 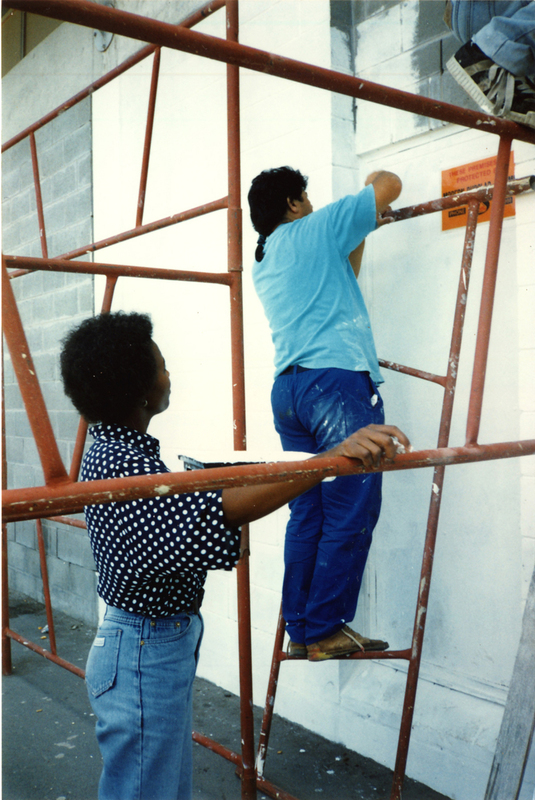 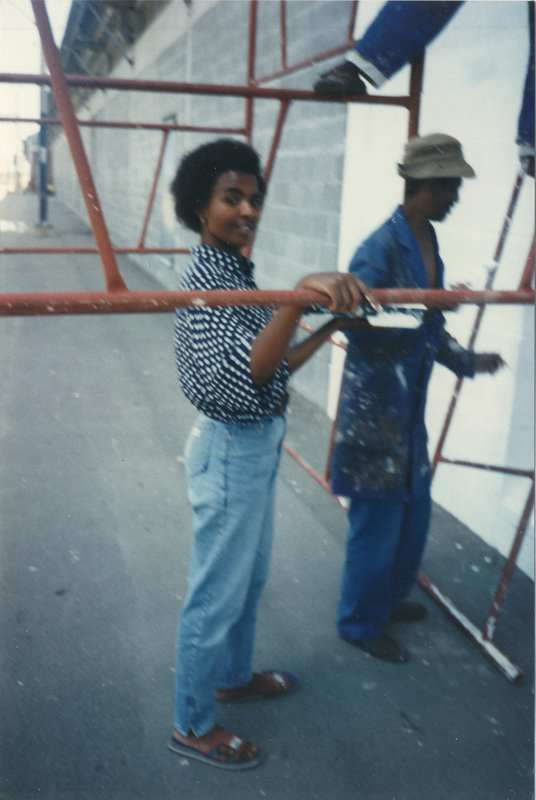 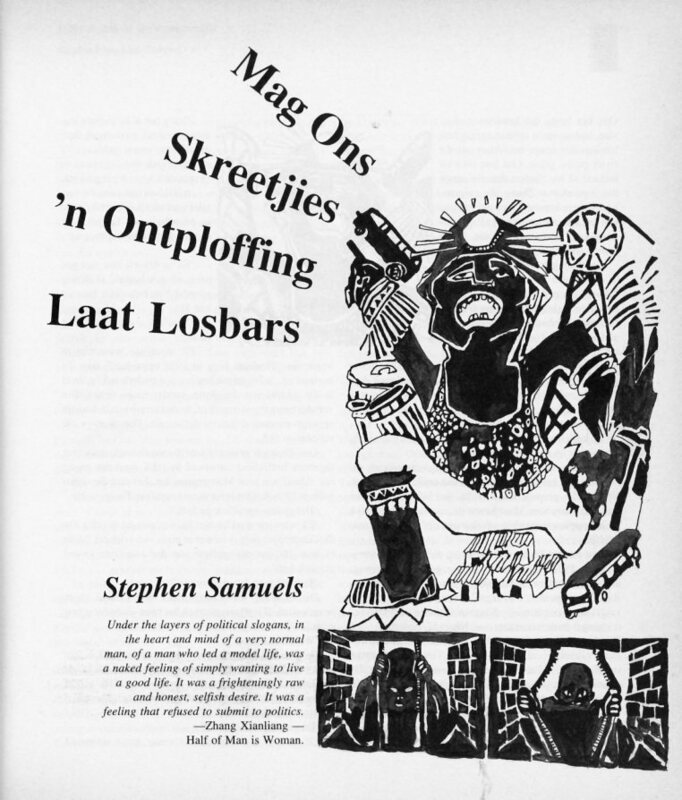 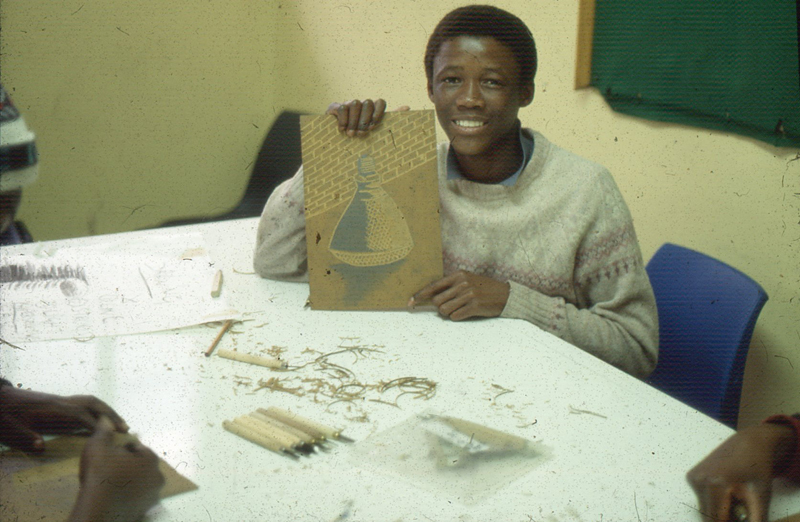 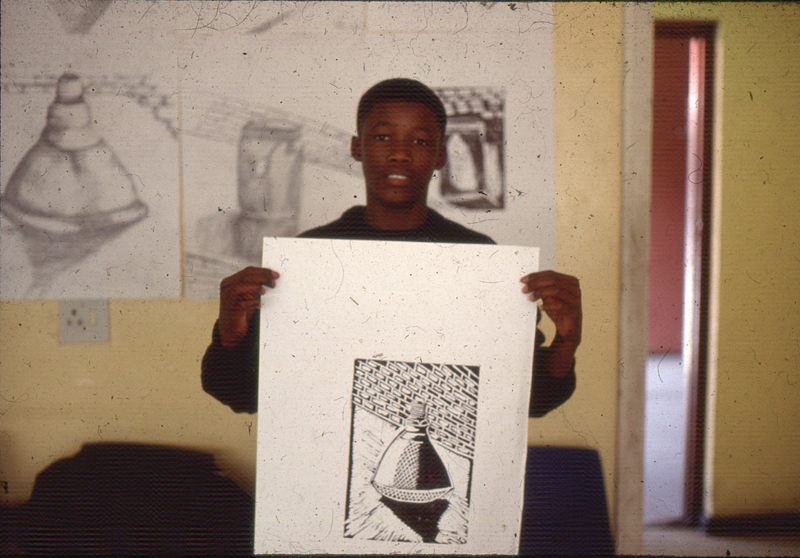 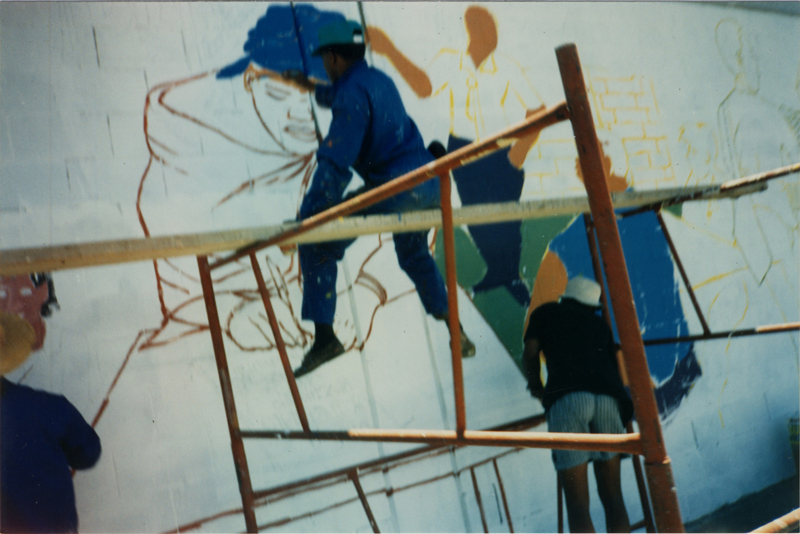 The Visual Arts Group (VAG) was formed in Cape Town 1988 by members of the Cultural Workers Congress (CWC) as a vehicle for the mobilisation of visual artists within the non-racial mass democratic movement. 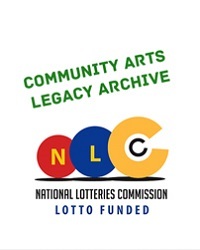 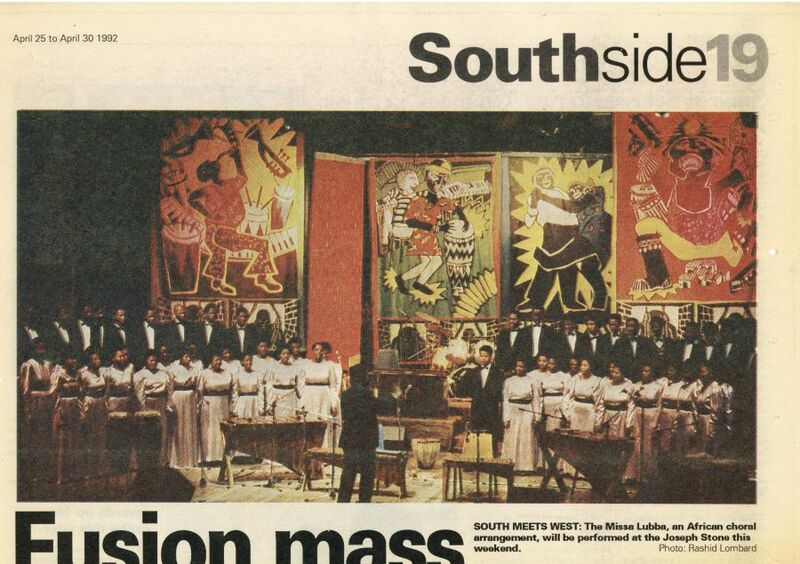 It filled a gap created by the decision of the Community Arts Project (CAP) to adopt a ‘politically non-aligned’ position (perceived by many of its critics as ‘anti-ANC’) as well as CAP’s shift from being a membership based cultural organisation into an ‘education institution’. 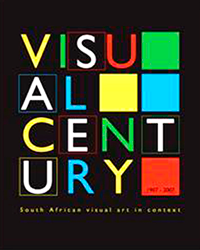 This explains the strong presence of many CAP-associated individuals in the formative phase of the VAG, which was also closely entangled with the identity of (what much later became known as) the Gardens Media Group. 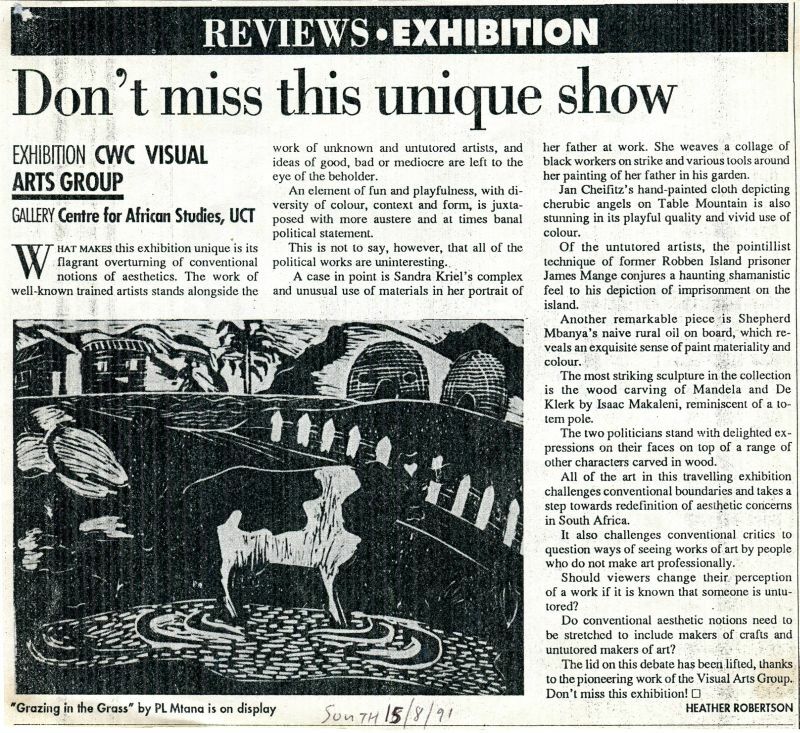 Early VAG/CWC initiatives included the production of banners and posters for political events, and assisting in the organisation of international exhibitions (Art from South Africa for MOMA, Oxford and the Images of Our Lives postcard exhibition in New York). 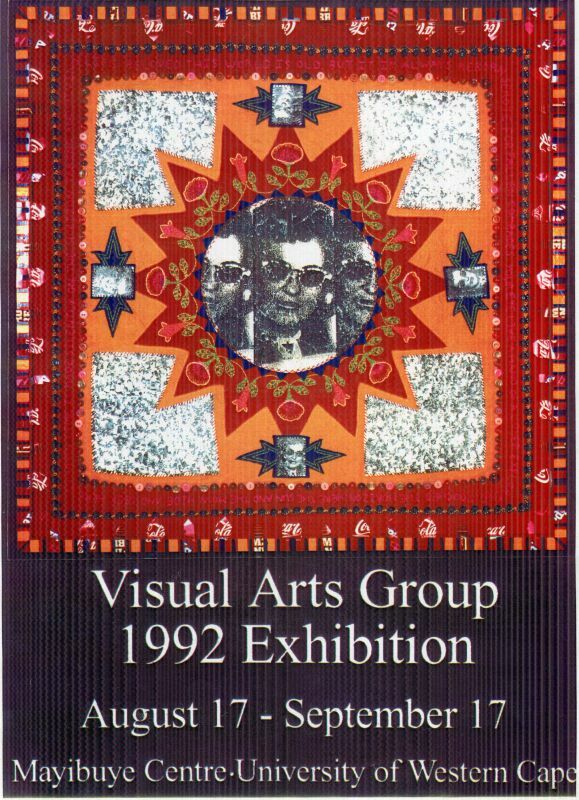 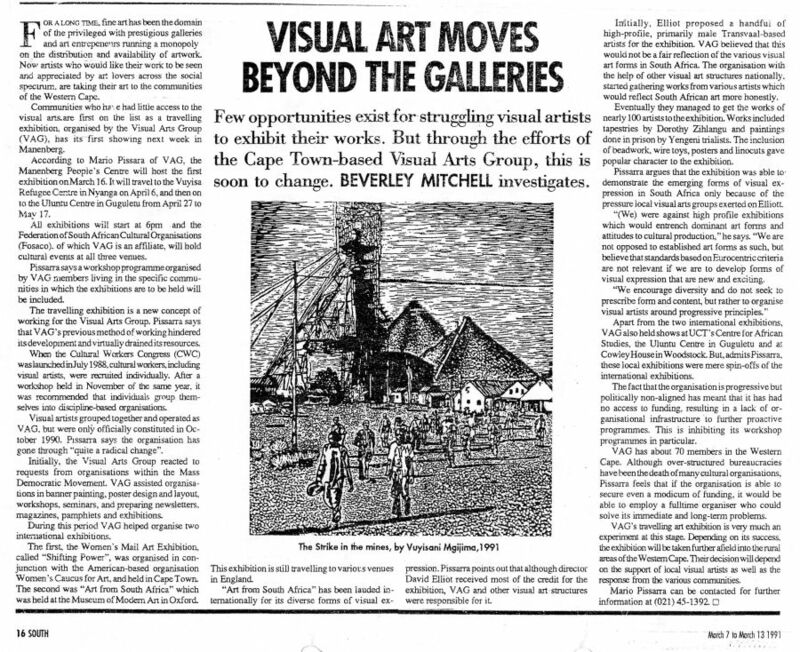 In 1990 the VAG formally constituted as an organisation of visual artists. 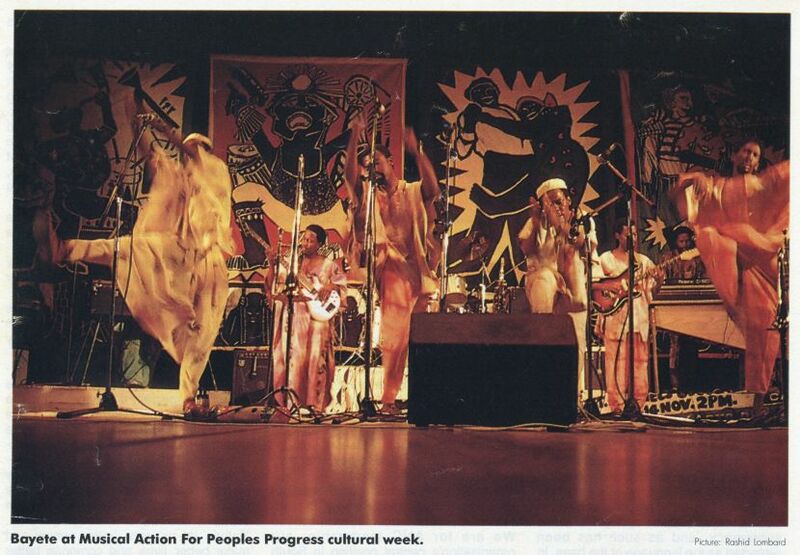 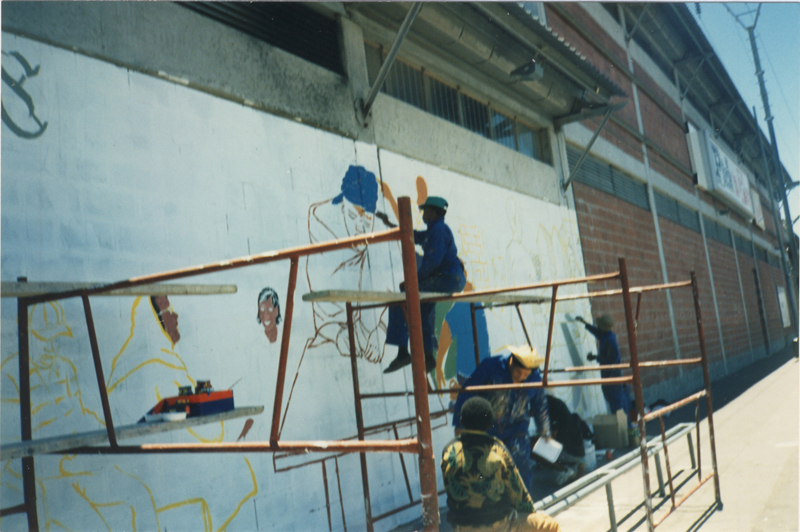 Through its affiliation to the CWC, the VAG participated in the Federation of South African Cultural Organisation’s (FOSACO) campaign to democratise para-statal cultural institutions. 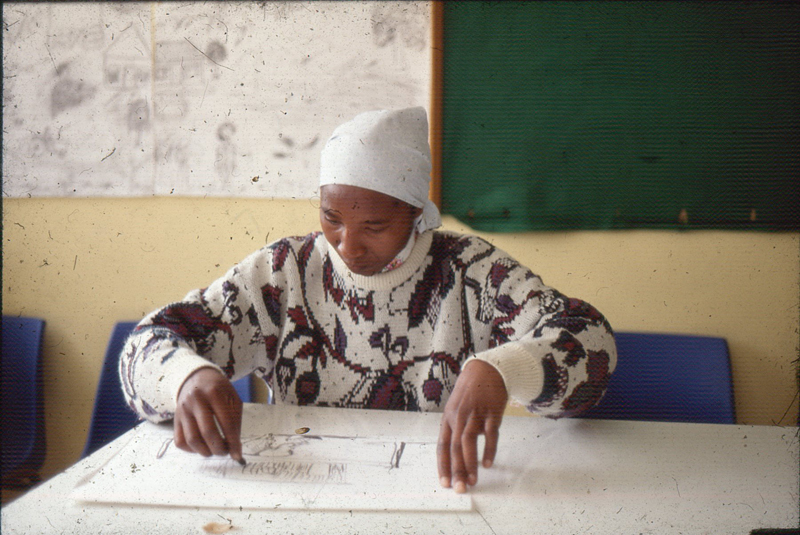 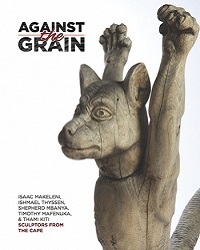 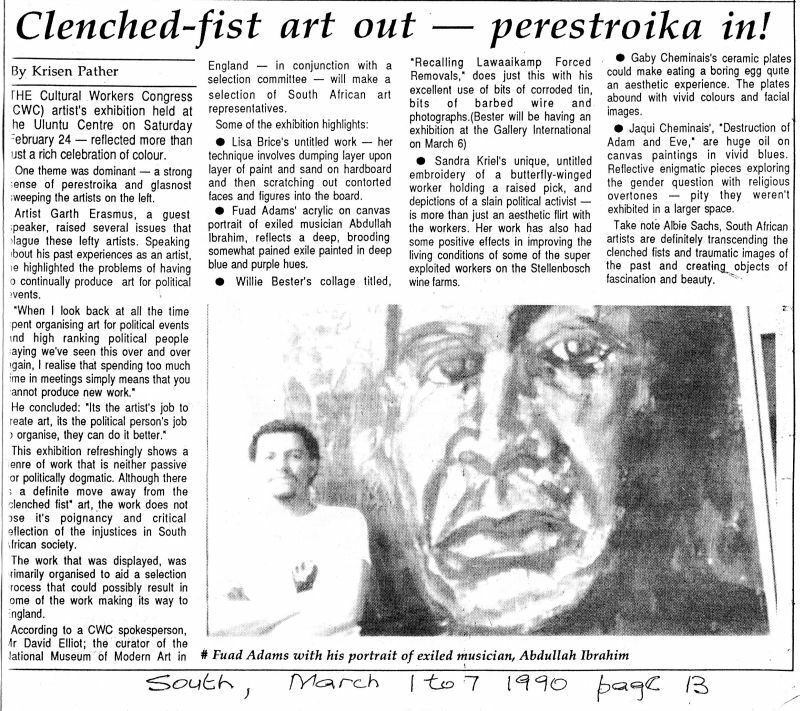 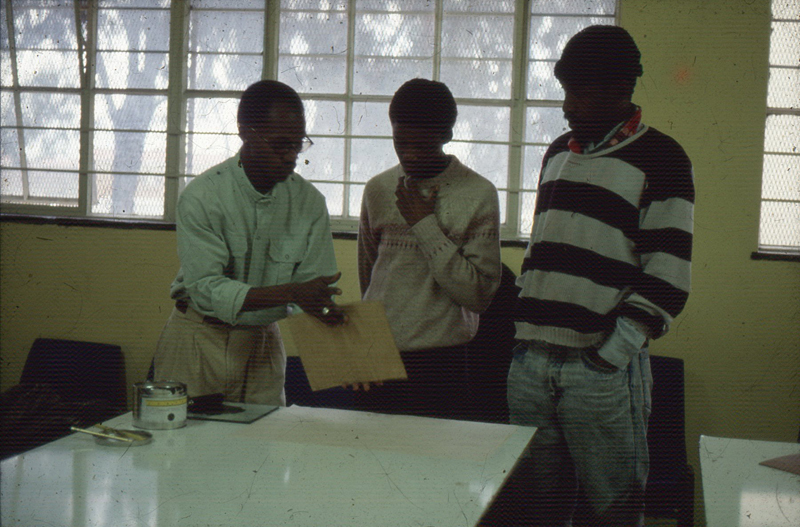 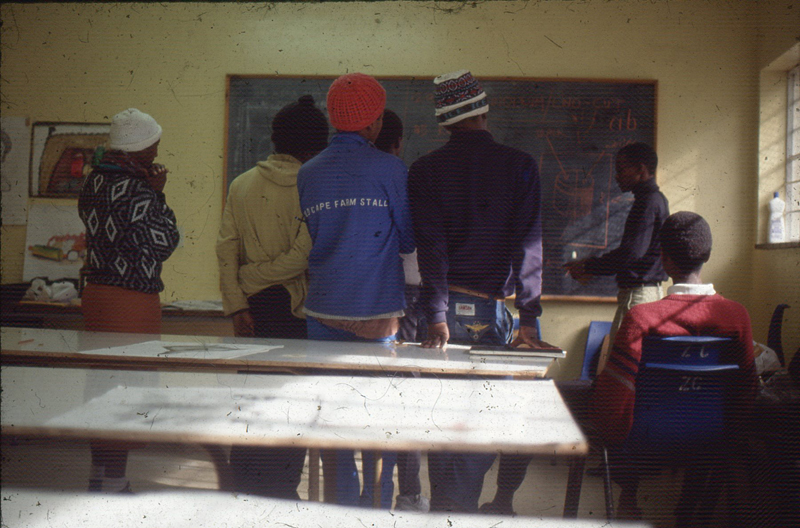 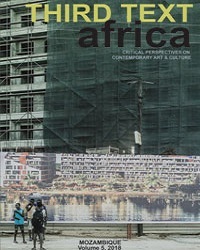 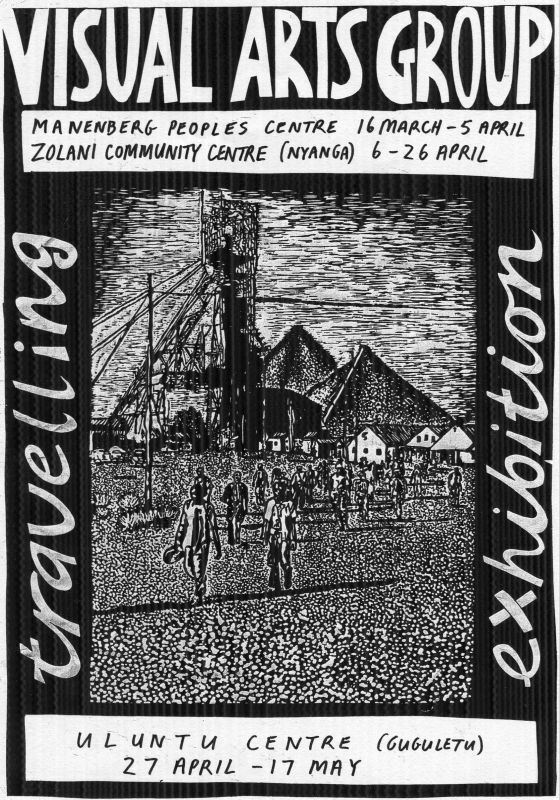 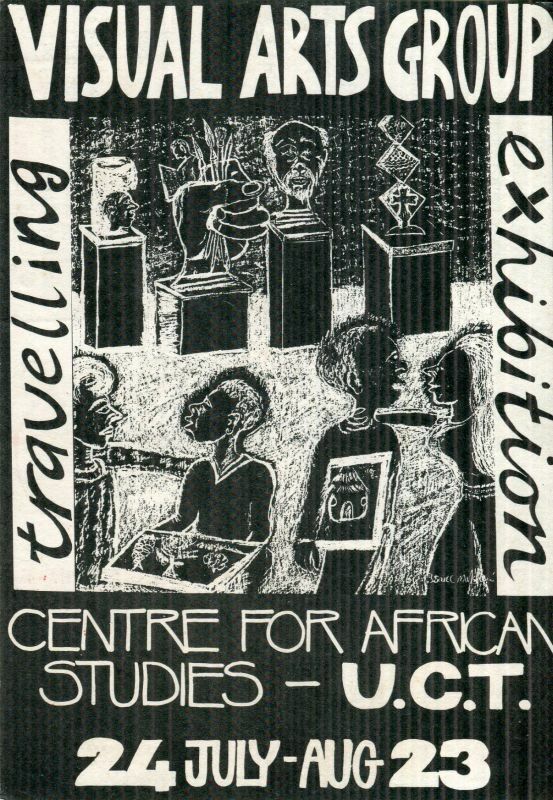 It also organised a (constantly evolving) travelling exhibition that toured the City in the early 1990s, showing mostly in community centres in the townships (Nyanga, Guguletu and Manenberg) but also at the Universities of Cape Town (Centre for African Studies) and the Western Cape (Mayibuye Centre), as well as at the South African Association of Arts (later the AVA) . 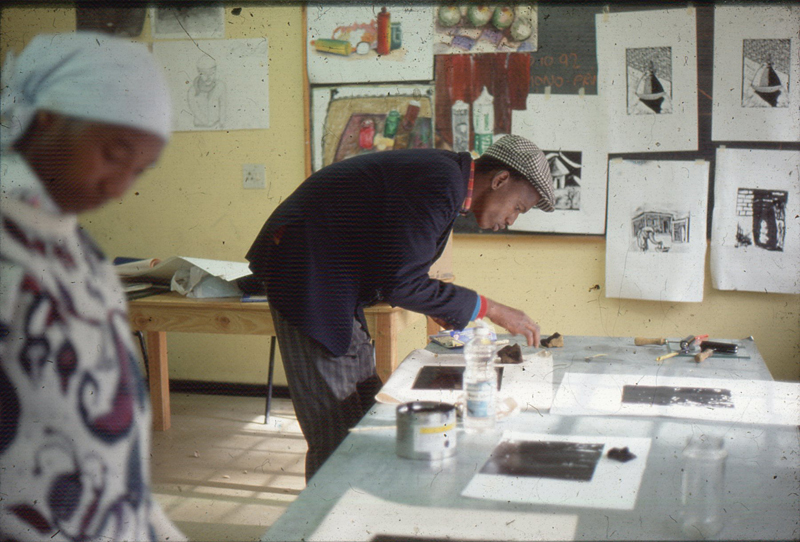 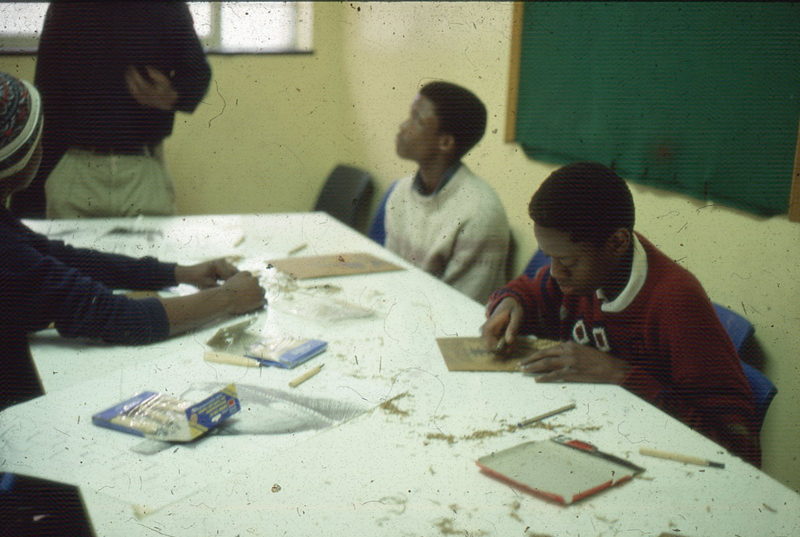 The VAG also ran workshops at the Zolani Centre, Nyanga East, funded in part by the Foundation for Creative Arts. 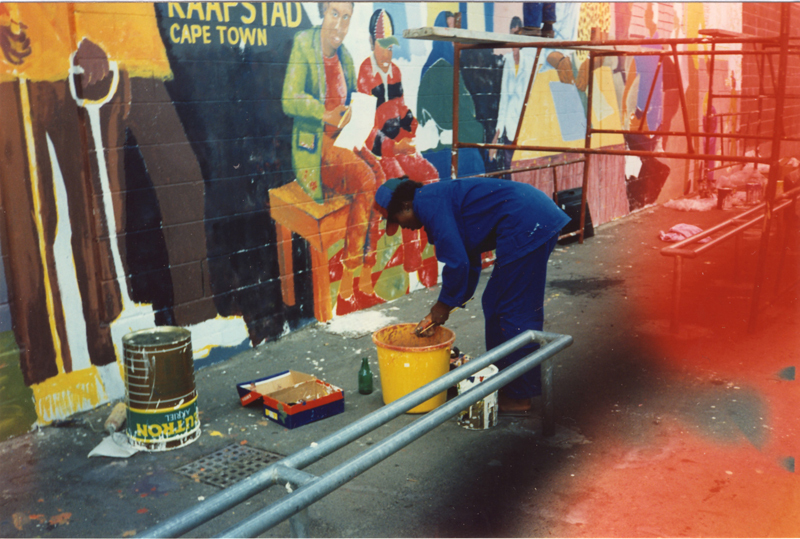 The VAG was particularly interested in collaborative projects and participated in a mural painting workshop at the Baxter Theatre gallery. 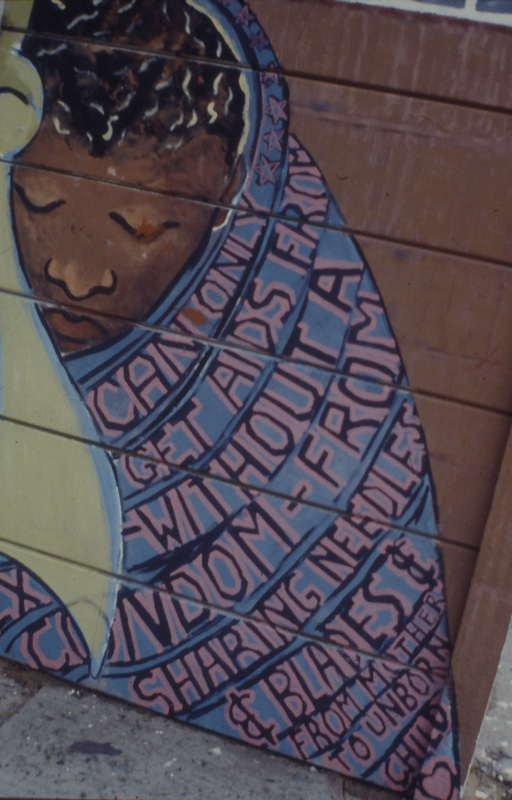 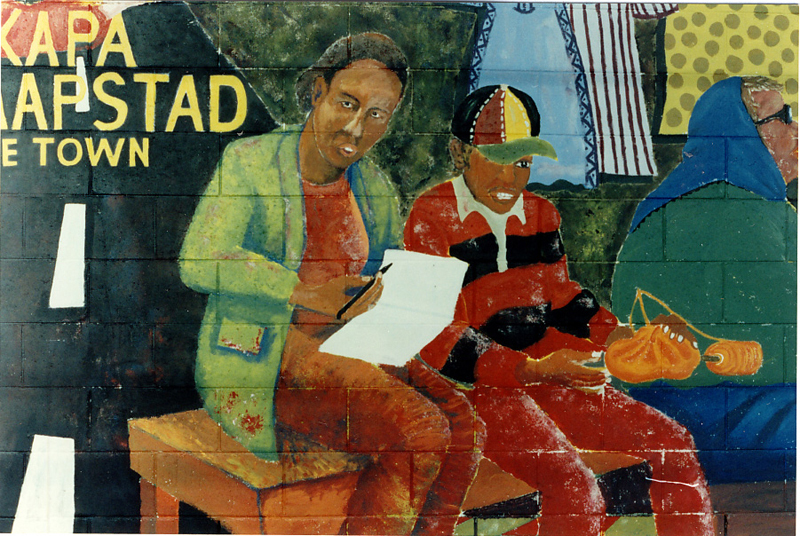 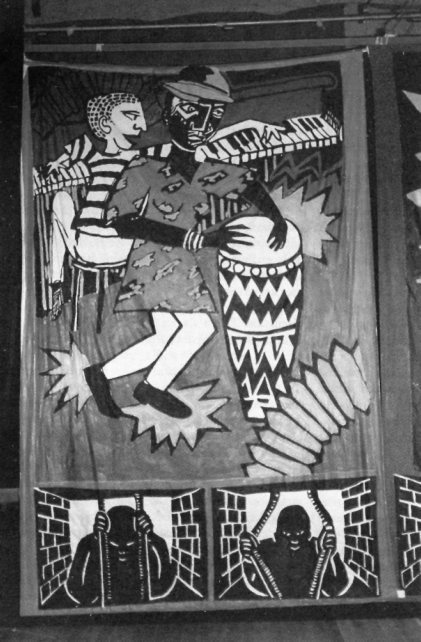 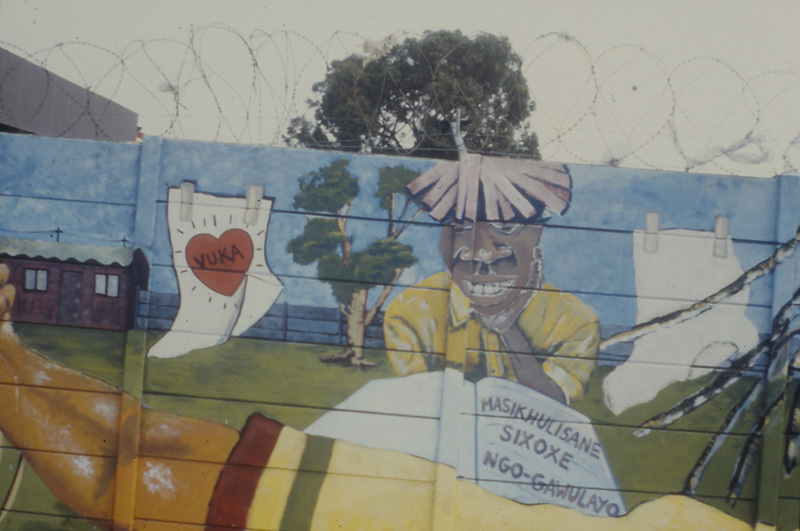 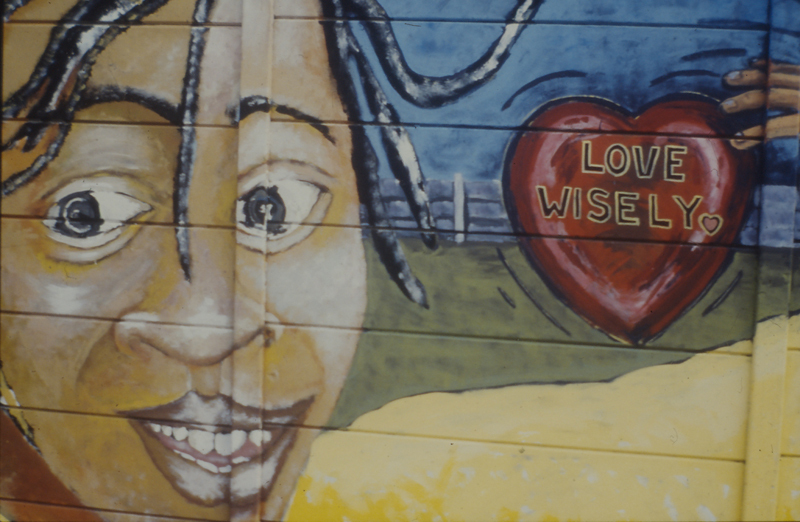 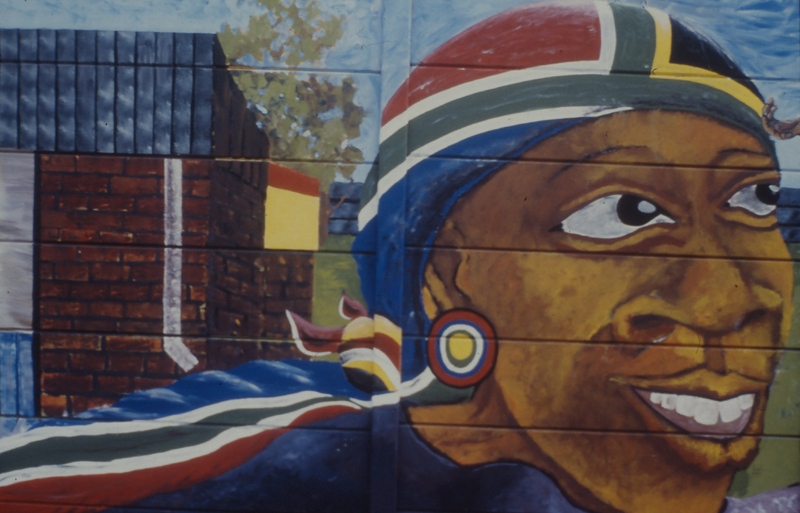 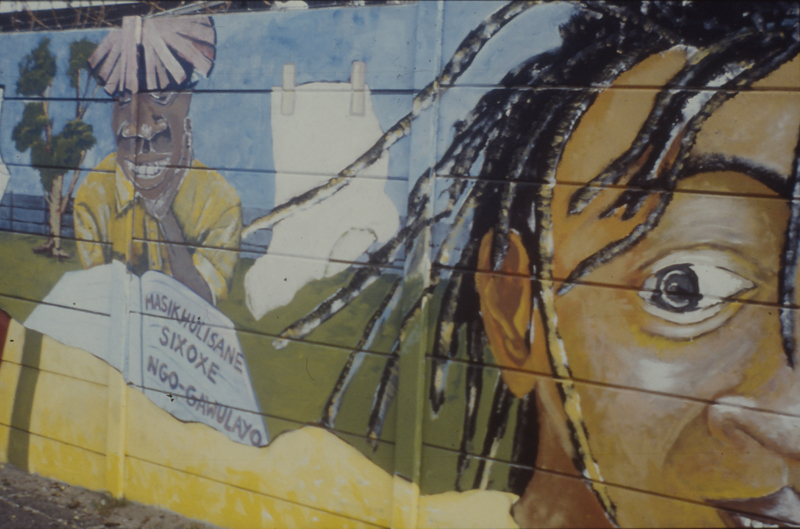 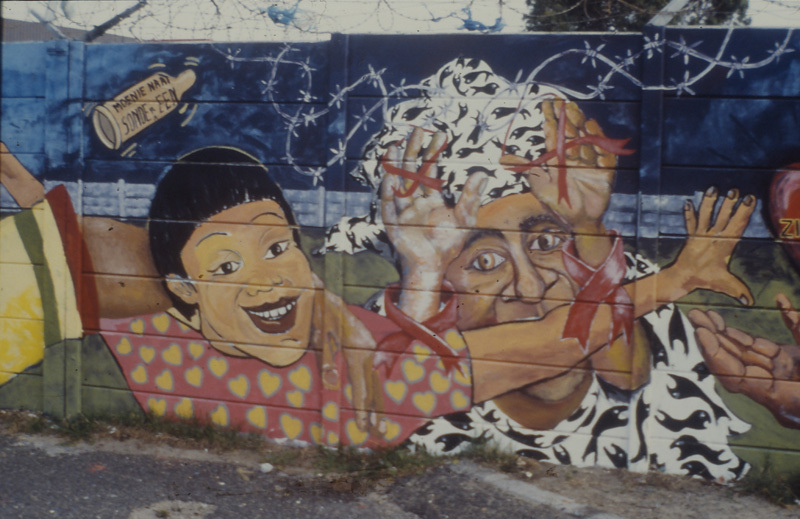 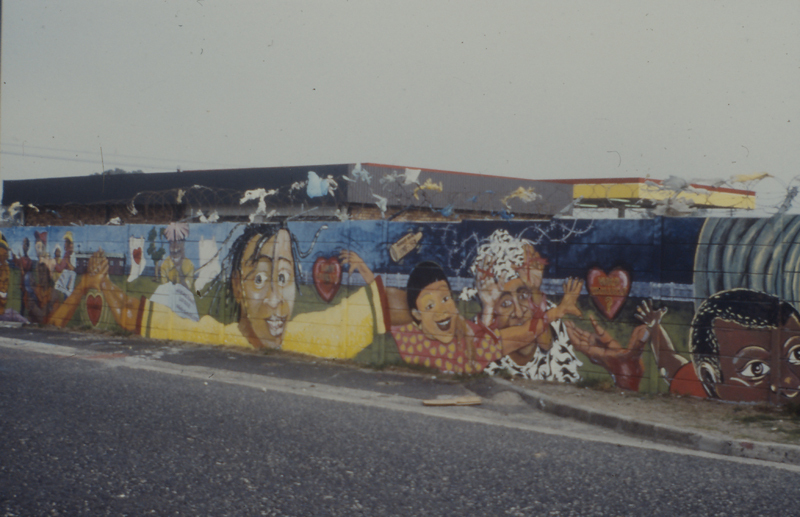 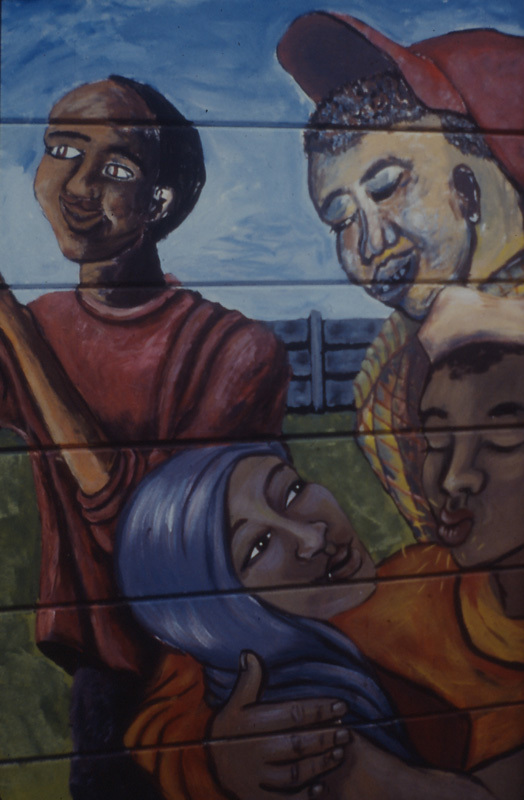 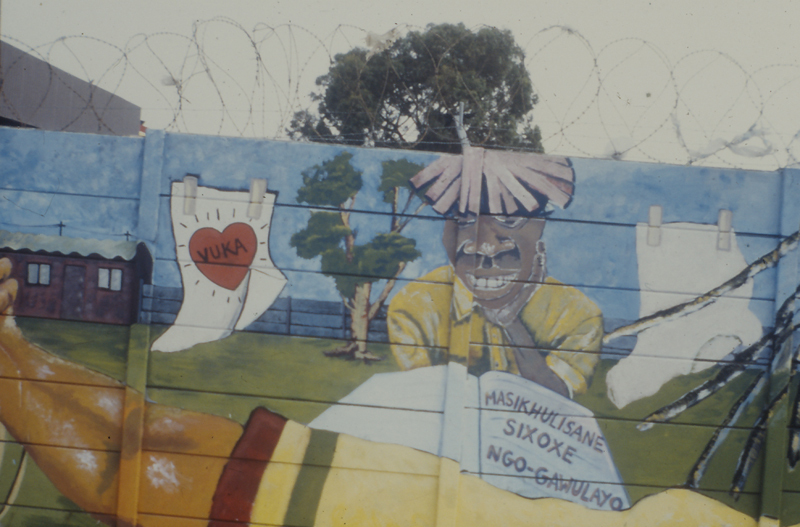 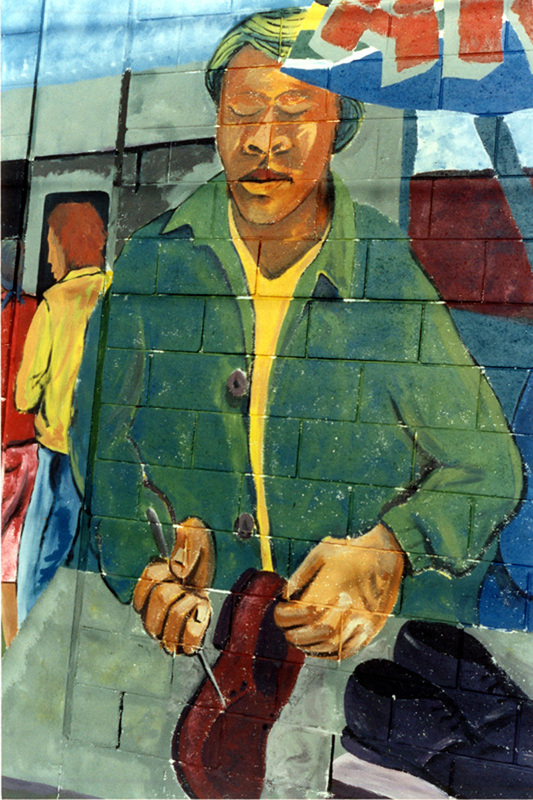 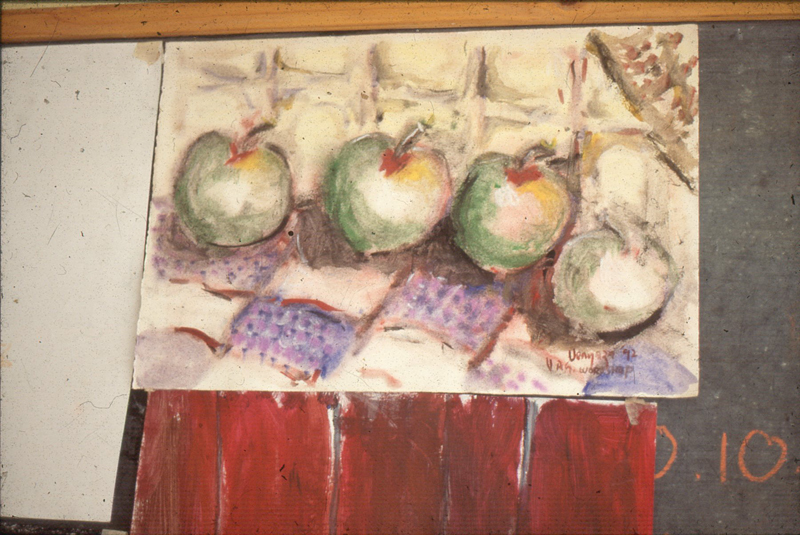 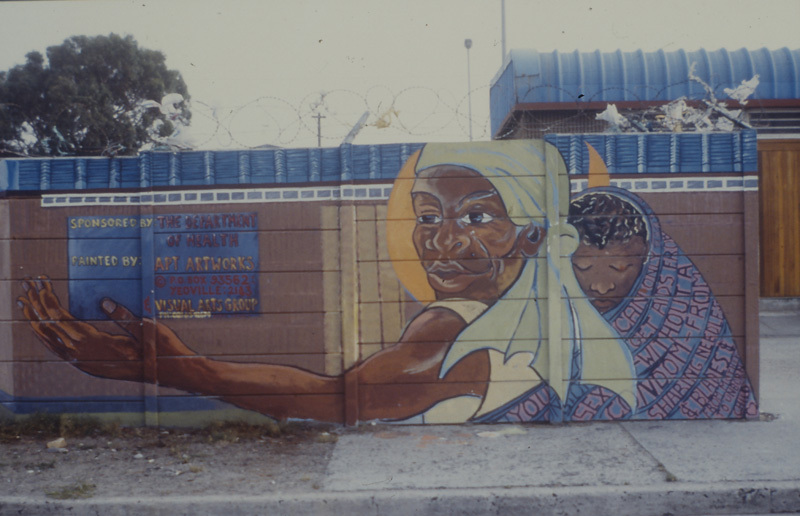 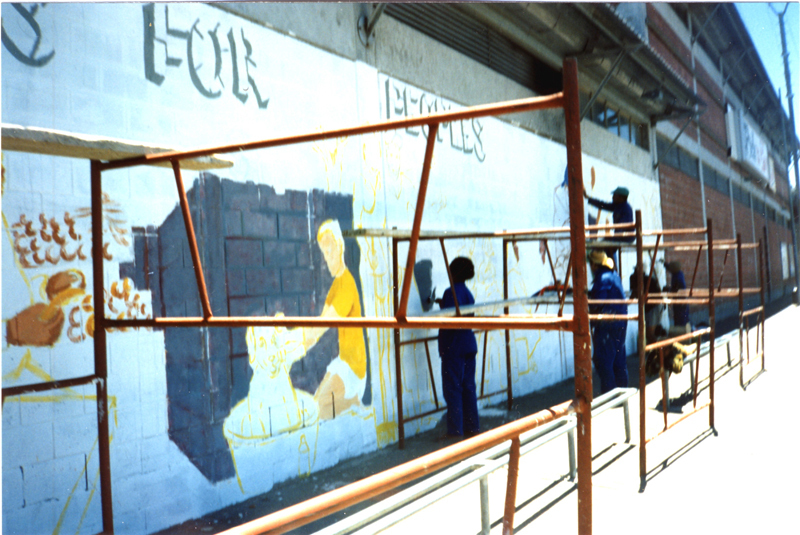 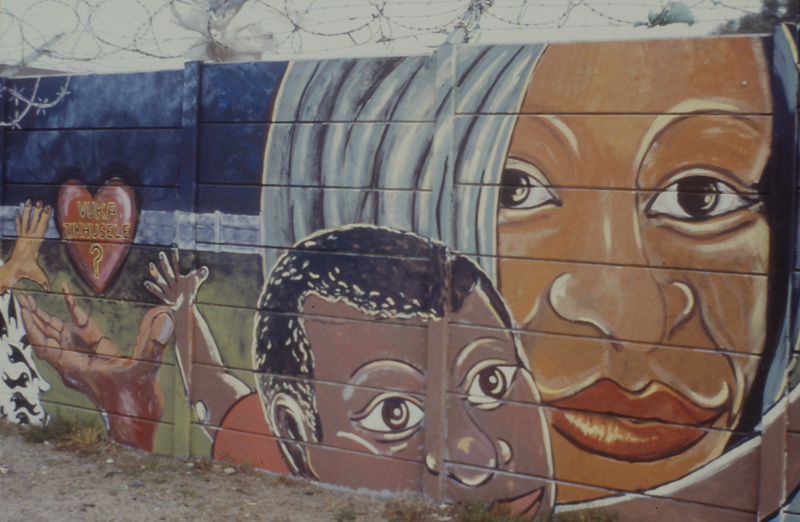 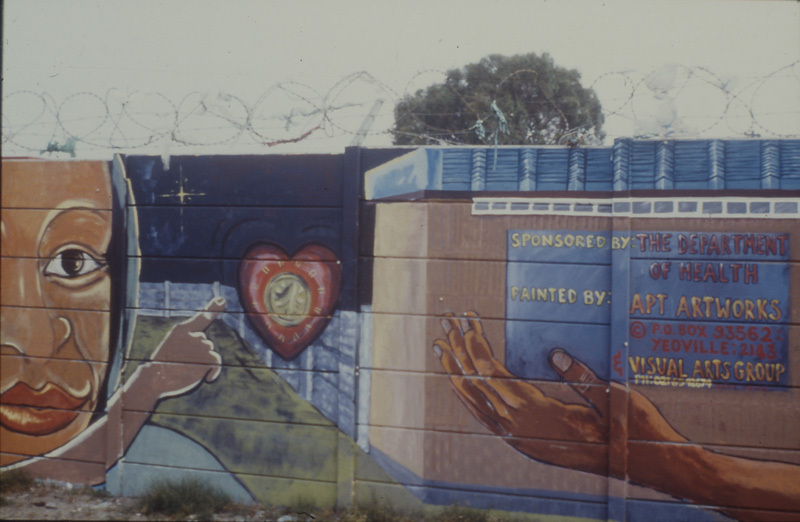 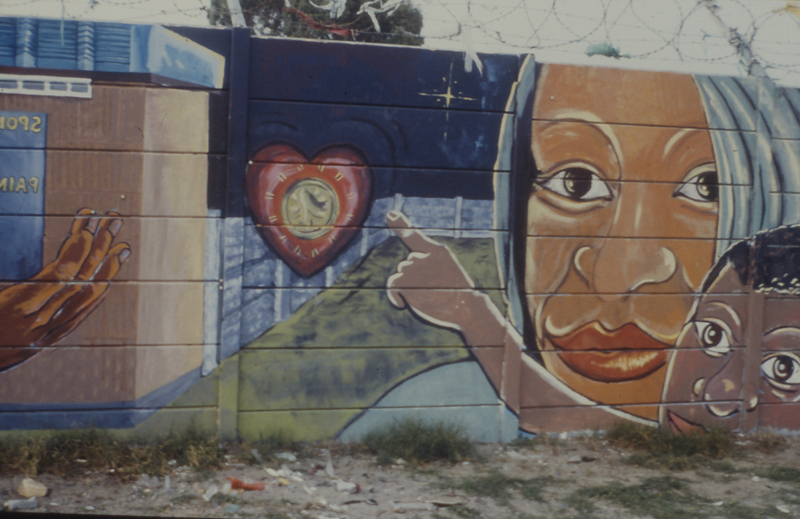 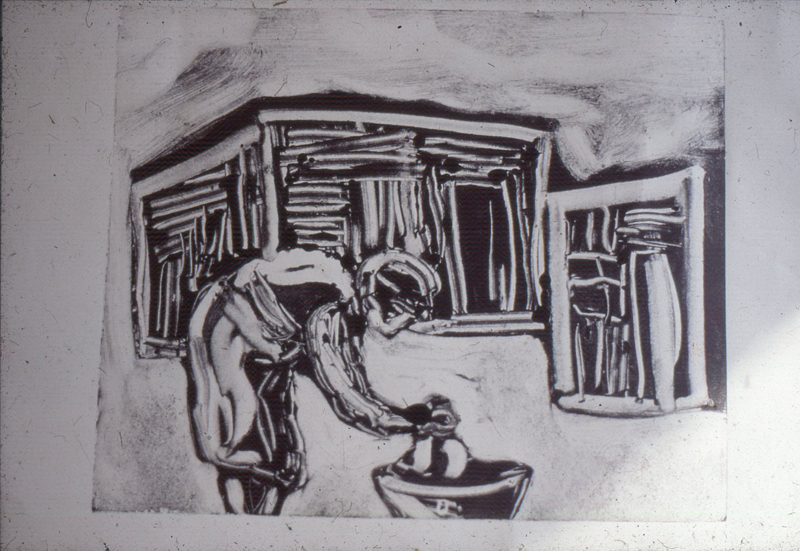 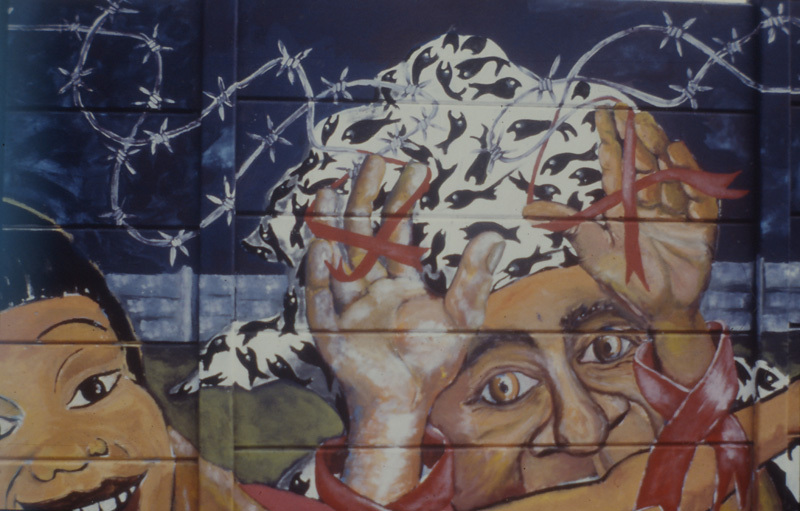 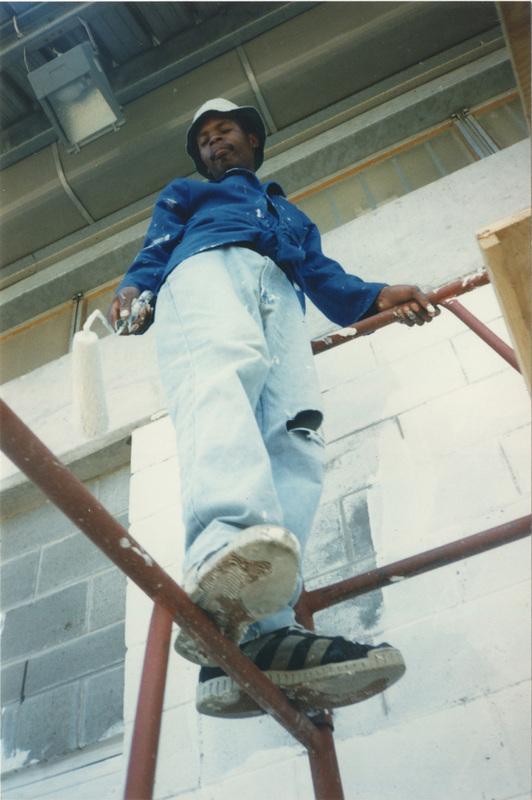 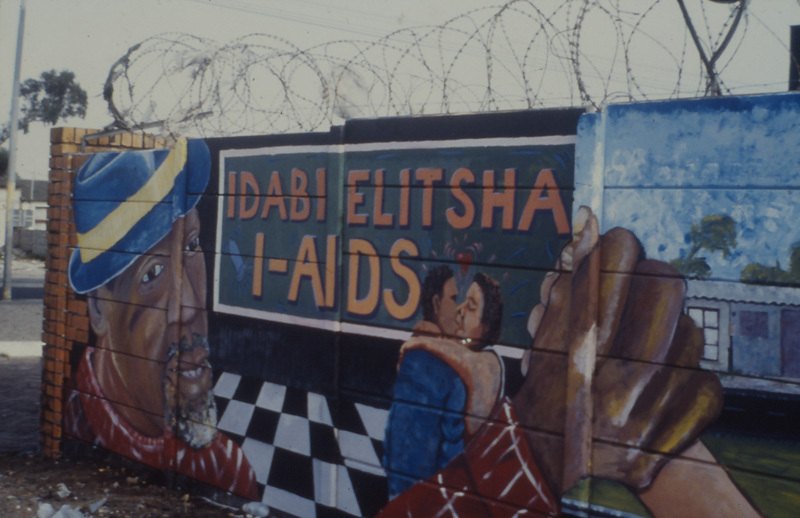 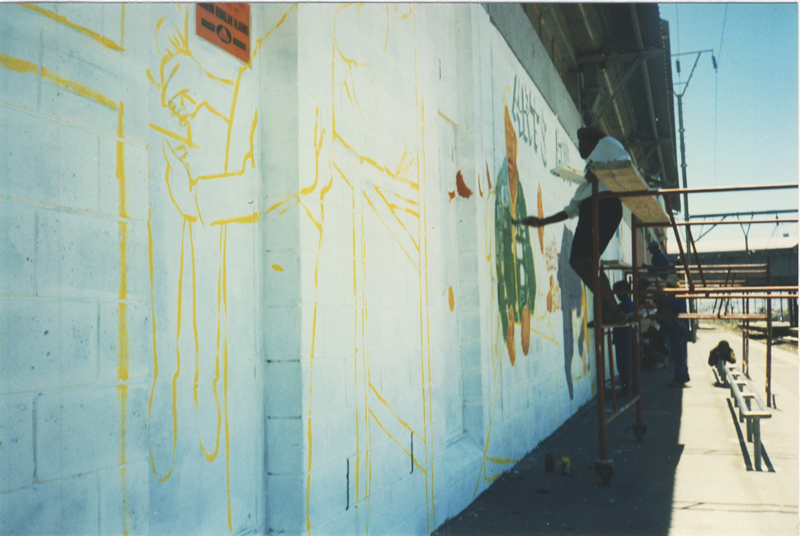 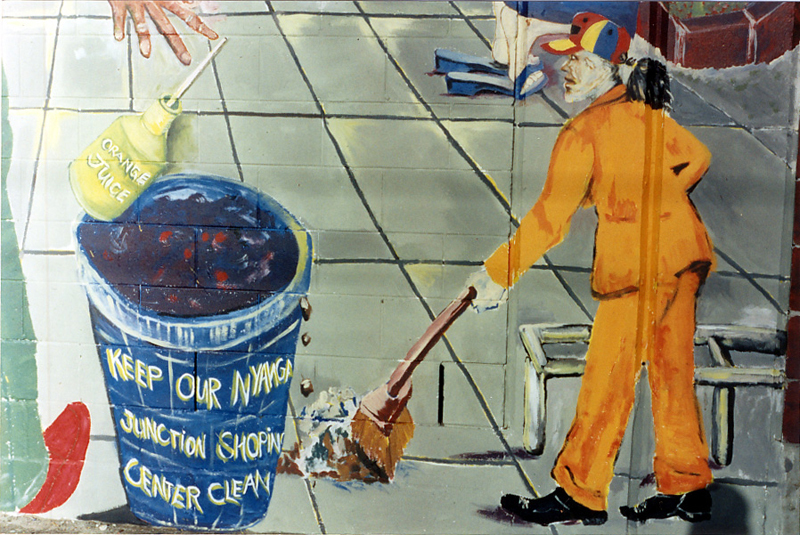 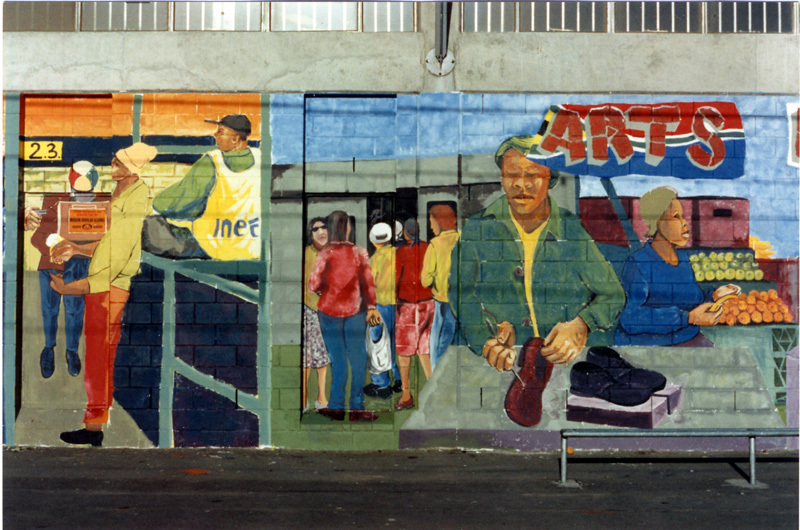 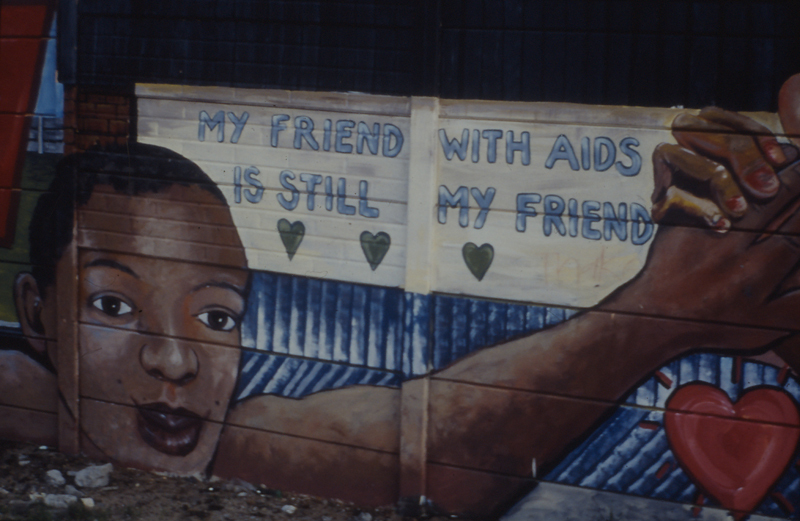 An AIDS education mural was painted in Guguletu in collaboration with APT Artworks in 1996. 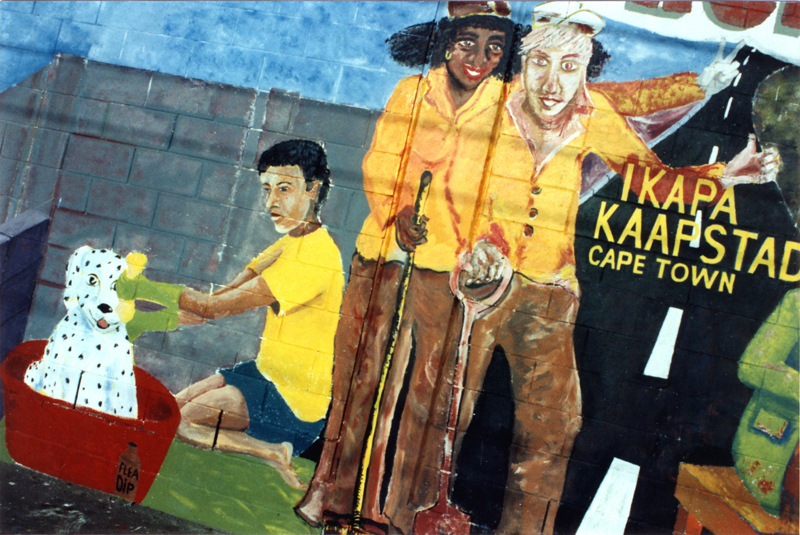 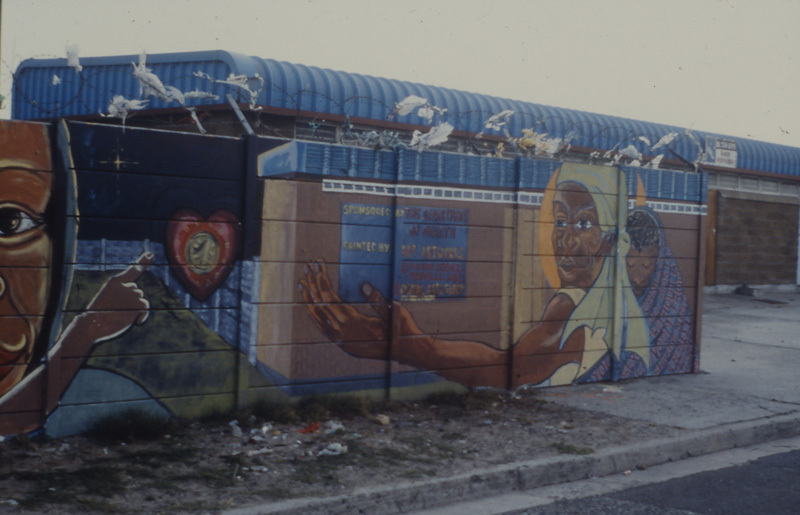 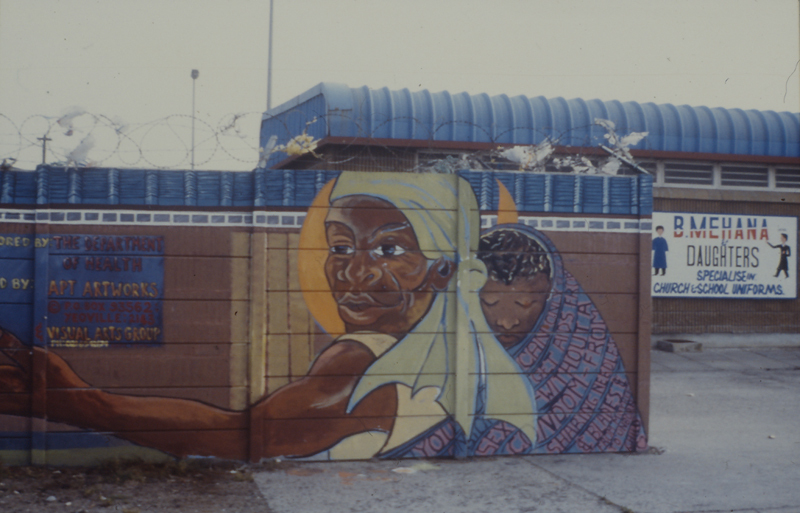 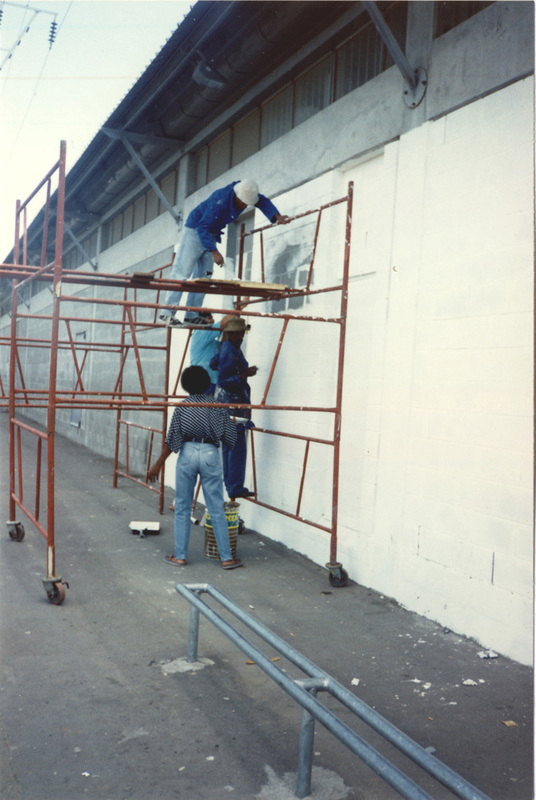 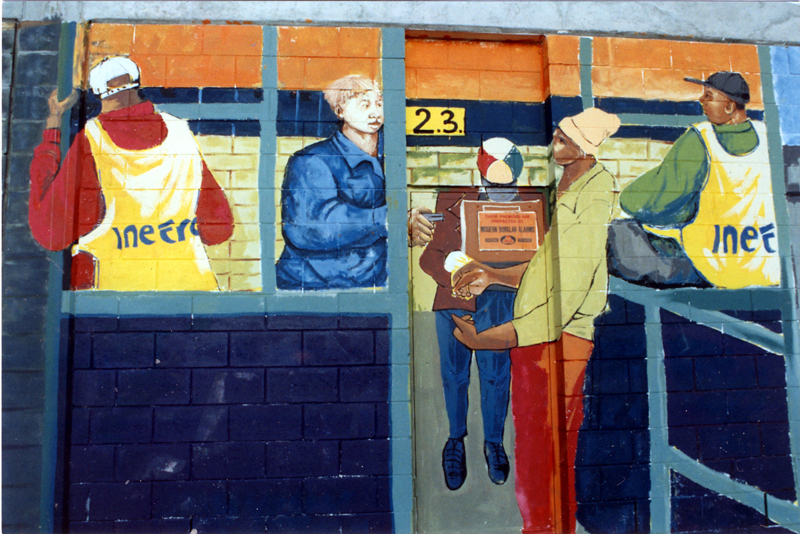 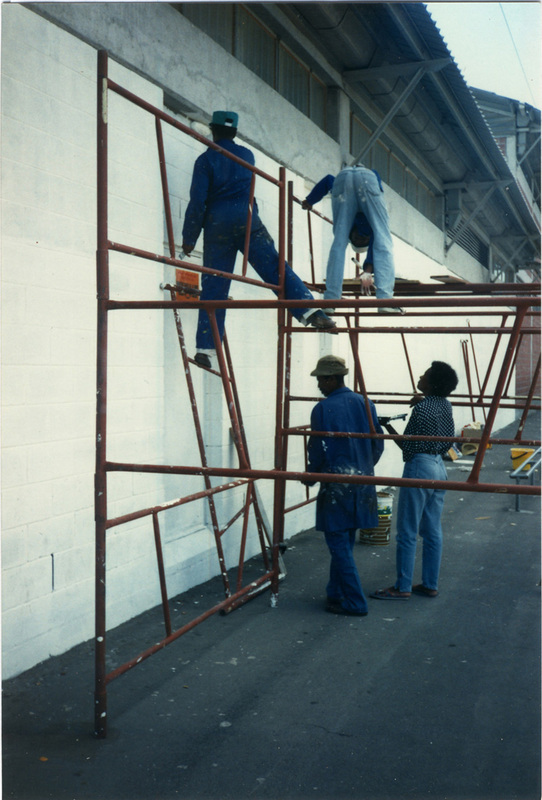 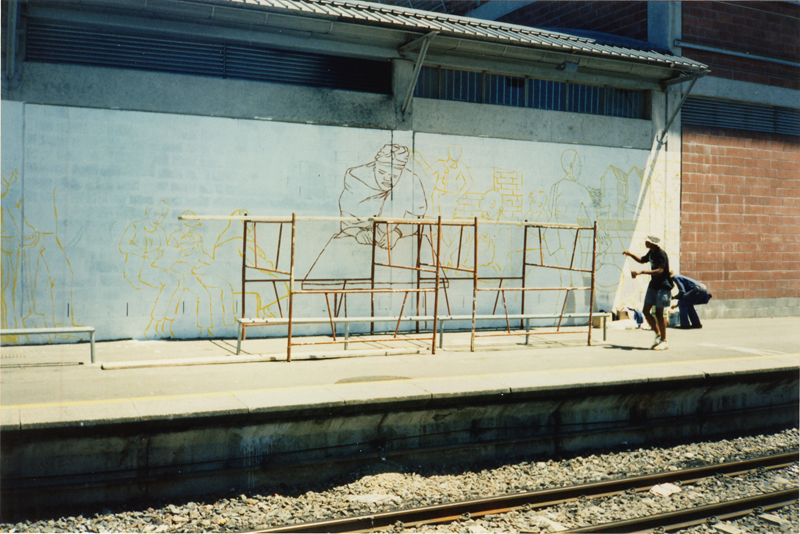 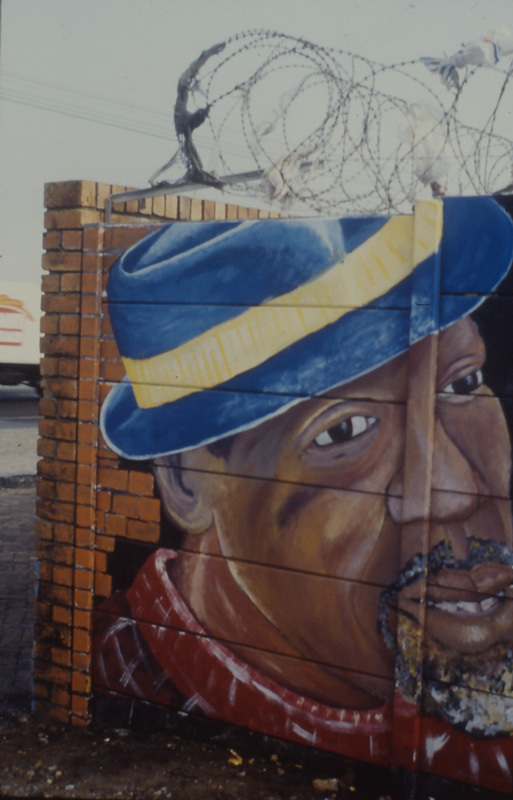 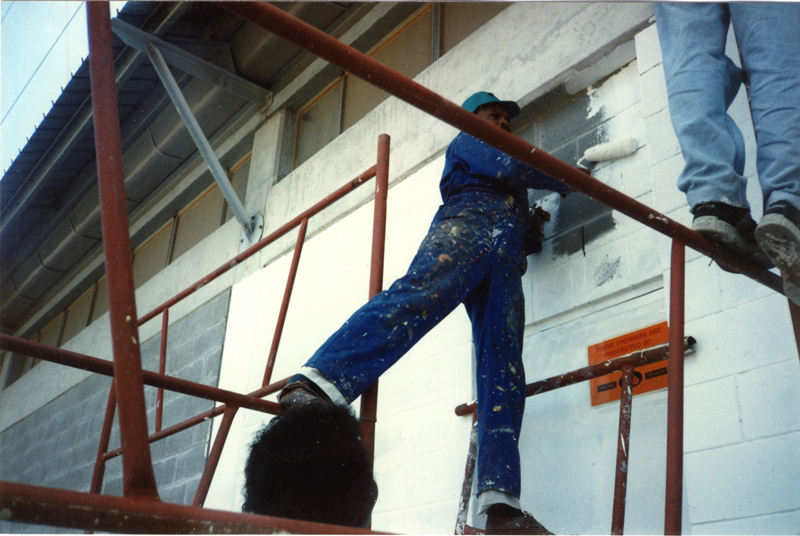 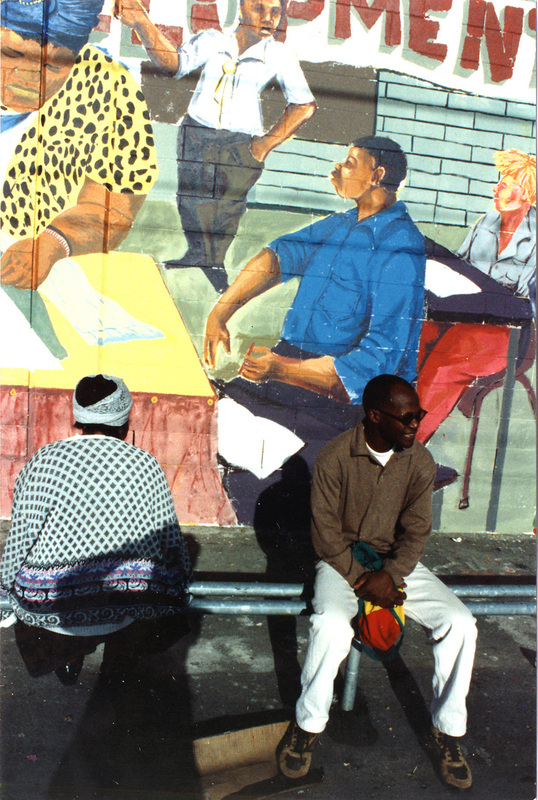 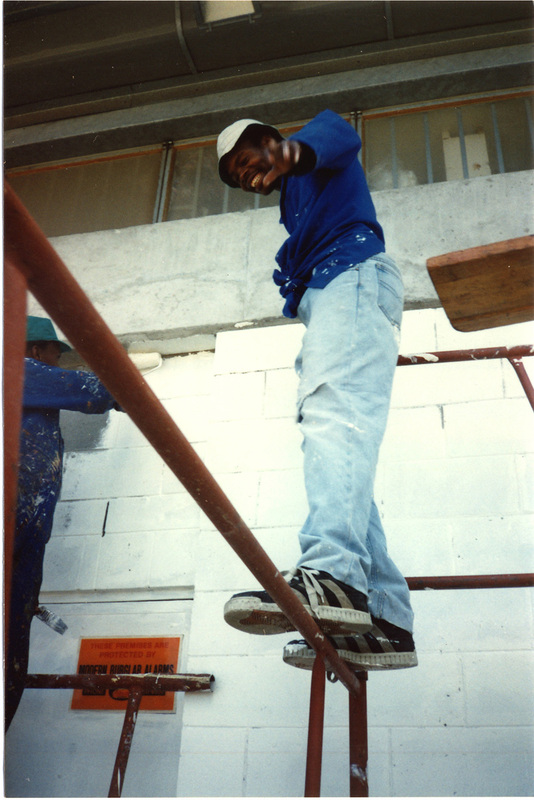 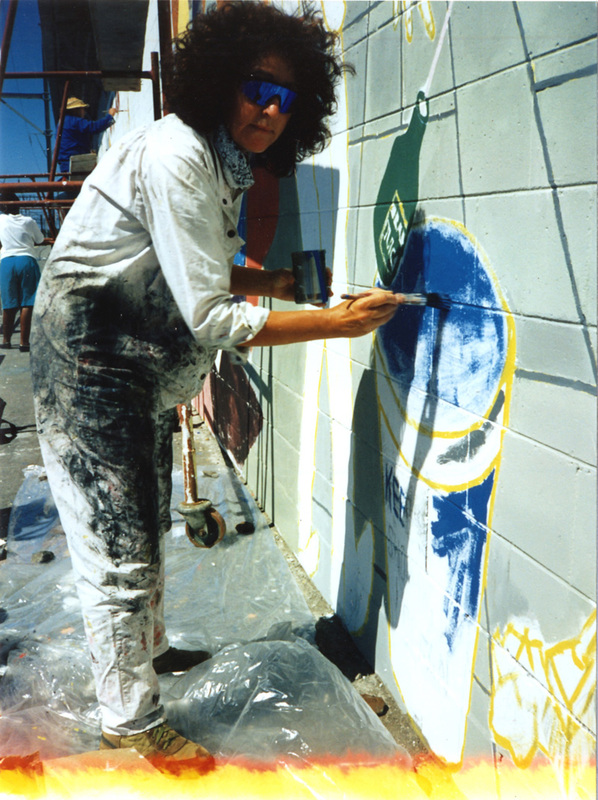 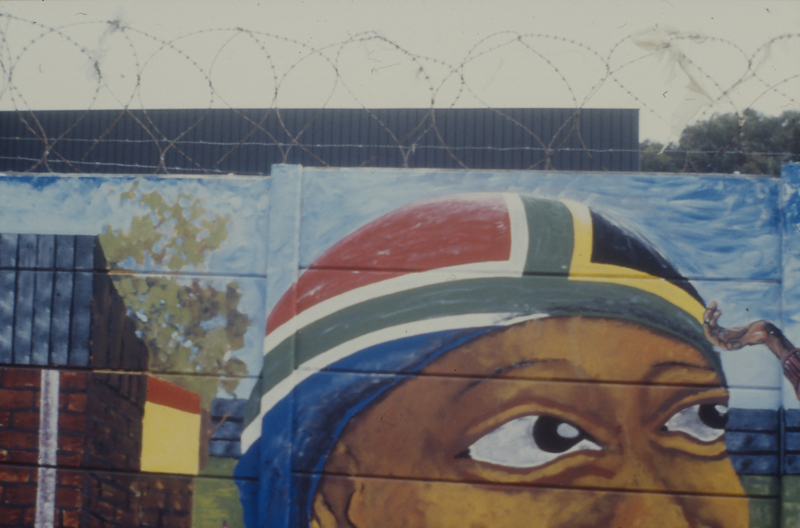 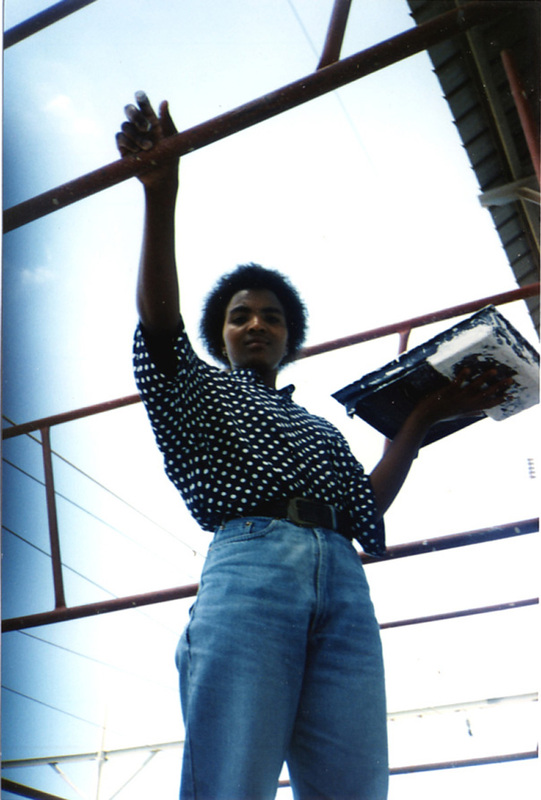 The VAG’s last project was a mural at Nyanga Station in 1998, funded by the City of Cape Town as part of its arts policy development programme. 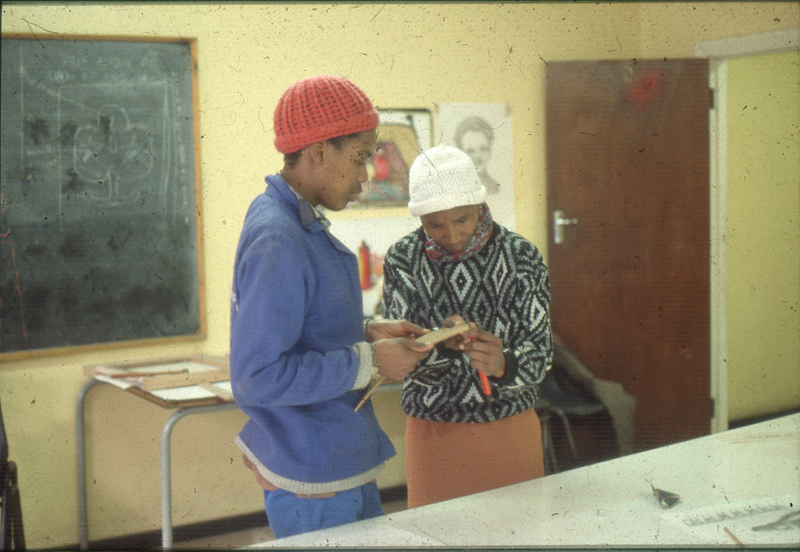 Many people participated in VAG programmes. 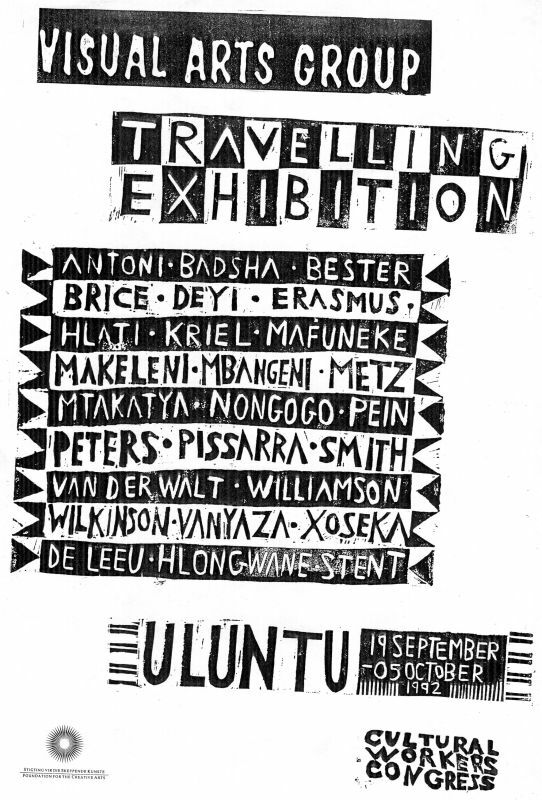 Among those who were active at various times were (in alphabetical order): Willie Bester, Gaby Cheminais, Trish de Villiers, Thembinkosi Goniwe, Sipho Hlati, David Hlongwane, Lee Hobbs, Sandra Klopper, Sandra Kriel, Isaac Makeleni, Billy Mandindi, Xolile Mtakatya, Jacqueline Nolte, Ruth Pein, Sophie Peters, Mario Pissarra, Velile Soha, Vanessa Solomon, Stacey Stent, and Sue Williamson.